Universal design improves user experiences for everyone. Inclusion isn’t diversity: it’s the hard work of listening to and learning from others. Digital innovation over the next five years will focus on technologies that enable sharing and collaboration. Software and product development techniques such as Agile, Lean, and Customer-focused design empower teams—small and large—to provide greater value to their customers. It’s the new normal to discuss engagement strategies, metrics, and iterative methods for improvement. But a precondition to any engagement is accessibility and inclusion. Inclusive design is not a day-two problem. Sina Bahram chaired the opening plenary and reminded us that accessibility and inclusive design is not a day-two problem. His introduction was in a ballroom that featured computer-aided real-time transcription, projected to a screen. Indeed, I used the transcription often throughout the conference when I missed what a speaker said or became distracted and needed to catch up. Sina highlighted how Twitter—through a simple settings change—enables accessible image descriptions for the blind. I spent the rest of the conference reflecting on the outsized gains achievable in universal design through a relatively small amount of effort. …with a particular focus on visitors who are blind or have low vision… The result is an iOS-based audio guide that uses Bluetooth low-energy beacons to push out content based on location; implements a “smart” audio player, breaking audio stops into modular chunks of content that are dynamically reordered based on a user’s needs or preferences; and provides a mix of voices and tones, interweaving interpretive content with content designed for accessibility. Through a universal design approach, museums can avoid targeting specific populations at the exclusion of others. Many accessibility features can be useful to a wider group than just the visitors with disabilities who inspired them. This served as a confirmation of my own experience with the Museum and the Web conference’s real-time speaker transcription service. The key takeaway? Universal design improves user experiences for everyone. Exclusion is the driver of conflict. Tim Phillips is a pioneer in the field of conflict resolution and reconciliation and co-founder of Beyond Conflict, a firm that assists leaders in divided societies struggling with conflict, reconciliation, and societal change. His keynote speech, Building More Inclusive Communities: Lessons From 25 Years On the Front Lines of Peace, opened by asking: how does conflict resolution relate to museums on issues of inclusion and reconciliation? A bit of brain science. We are emotional beings, first and foremost. After our identities are recognized, understood, and valued by others, then we can be rational as well. This is the heart of inclusion: a felt sense that one belongs, that one feels welcome, that one is a citizen of a community. On the flip side, then? Exclusion. Exclusion is the primary driver of conflict. Excluded parties believe that they are unique in their problems, that they cannot learn from others, and that no one can understand their experiences. So how can institutions of privilege and power think about inclusion and access? How can they invite, and hear from others? Only through creating spaces of discourse. “You cannot pick who you talk to or negotiate with,” Tim notes. Spaces of discourse are spaces of discomfort, and that’s ok. They take time to build. Trust building takes time. Discomfort can’t all at once be overcome, or the parties risk emotional shutdown. Inclusion in this sense is not “corporate diversity” or “safe spaces” for dialogue, but rather describes the hard work of overcoming barriers by listening and learning from others. Tim’s work in conflict resolution from Northern Ireland to South Africa filled out his speech, bringing real weight to what inclusion means and how it can succeed. The key takeaway? Inclusion isn’t diversity: it’s the hard work of listening to and learning from others. The National Digital Platform is a way of thinking about and approaching the digital capability and capacity of libraries and museums across the US. In this sense, it is the combination of software applications, social and technical infrastructure, and staff expertise that provide digital content, collections, and related services to users in the US. If the prior 5 to 10 years focused on digitization—scanning, cataloging, and internal databases—the next 5 to 10 years will focus on what can be done with that data to foster open integration, collaboration, and data sharing. Recently funded projects focus on accessibility standards for blind and impaired users, as well as multi-institution shared digital services, systems, and infrastructure. Linking Open Data cloud diagram 2017, by Andrejs Abele, John P. McCrae, Paul Buitelaar, Anja Jentzsch and Richard Cyganiak. Linked Open Data (LOD) is a set of best practices for exposing, sharing, and connecting structured data on the web. For example, The Getty Vocabularies, structured terminology for art, architecture, decorative arts, archival materials, visual surrogates, conservation, and bibliographic materials, are available as Linked Open Data. The CIDOC Conceptual Reference Model (CRM) provides definitions and a formal structure for describing concepts and relationships used in cultural heritage and museum documentation. The International Image Interoperability Framework (IIIF) provides a standard method of describing and delivering images and metadata over the web via an API protocol. Robert Sanderson’s paper, Building Distributed Online Exhibitions With IIIF, discusses how interoperability provided by IIIF allows exhibition creators to assemble collections from different institutions, eases display metadata collection, and enables annotations such as regions of interest within images. Duane Degler’s workshop, Innovative Applications And Data Sharing With Linked Open Data In Museums: Exploring Principles And Examples, explores what can be done today with linked data and modern application frameworks. The bibliography is particularly useful. Brian Dawson, Fiona Smith Hale, and Sandra Corbeil’s paper, Open Innovation: Open Movements And The Role Of A Museum In The 21st Century, explores the Canada Science and Technology Museum Corporation experiences with open data, open information, and other open assets, and how these can support open participation and open innovation. 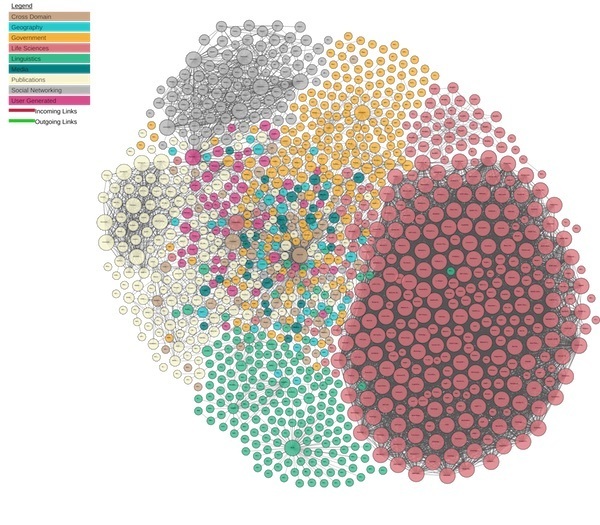 David Newbury’s paper, Art Tracks: Using Linked Open Data For Object Provenance In Museums, discusses what the Carnegie Museum of Art and its collaborators have learned as they developed a structure for representing textual provenance information as Linked Data. The key takeaway? Digital innovation over the next five years will focus on technologies that enable sharing and collaboration. Unsurprisingly for a conference dedicated to technology in the humanities, modern software and product development methodologies such as Agile, Lean, and customer focused design were frequently discussed in workshops, talks, and hallway banter. Lean product development—with its emphasis on audience testing, iteration, measurement, and improvement—was frequently cited as a means to further thinking about customer engagement around new museum products, especially in the context of tight budgets and even tighter timelines.The strategy fits well with the existing culture of evaluation. Jane Alexander, The Cleveland Museum of Art; Loic Tallon, Metropolitan Museum of Art; and Marc Cima, National September 11 Memorial and Museum, held the forum In and Out of Start Up Mode: how museums manage the shuffling of digital projects through periods of launch, maintenance, revision, and redesign. They discussed their experiences handling launch cycles from startup through product management and revision to operational mode. It takes a high level of care to sustain and grow in an audience-centered product development framework, which requires dialogue throughout the organization and its funding resources. They noted how a product is an ongoing effort, with associated needs, teams, and funding, quite separate from a project, which can be considered a one-off event. “Digital isn’t one-and-done.” Its long-term success depends on an ongoing cycle of build-design-launch-assess-promote-iterate-distribute. focusing on tight project constraints. … the concept of the “collection” did not resonate—in any language—with them, nor did they think of the items in the museum as “objects”… Users did not understand the difference between “View Highlights” and “Take a Tour”—the former is a list of objects without any wayfinding or other unifying theme, while the latter includes a selection of tours including a “Top Ten” option. Users expected “View Highlights” to provide a tour of museum highlights, effectively the same as the “Top Ten” tour, and grew frustrated that there was no clear logical arrangement of the objects within that section. We concluded that “collection” was not an effective way to express the idea of exploring the whole museum, and that we needed to reconsider how we were highlighting famous objects. Their studies of three language groups lead to a better understanding of different cultural expectations with audio guides. The overall research both confirms previous hypotheses about customer desires and behaviors and leads the way towards planned design iterations. I had a great time meeting and chatting with Ryan Waggoner, Robert Hickerson, Jennifer Talbott, and Kristina Walker of the Spencer Museum of Art. Their paper, Layered Learning: Developing And Utilizing Integrated Systems Through Mobile Platforms To Enrich And Expand Interpretation, highlights how a small team at a small- to mid-sized institution, faced with limited time and financial resources, can create a nimble, adaptive, mobile platform for unified sharing of content produced by an array of stakeholders. The key takeaway? Software and product development techniques such as Agile, Lean, and Customer-focused design empower teams—small and large—to provide greater value to their customers. In the end, there were a dozen other great papers, hallway conversations, lunch and coffee discussions, and panels—too many to absorb in a week. I’m looking forward to next year.